Now is the time to reap the trophies you’ve earned in combat. 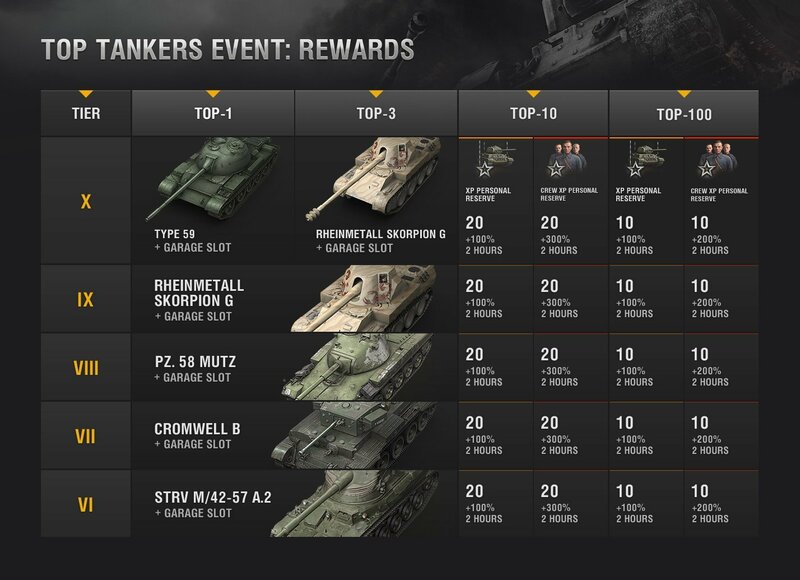 Rare vehicles, Personal Reserves, and exclusive medals will be credited to accounts December 2-7. If you already own the vehicle awarded for your category, you will receive its Credit value as compensation. If a player was disqualified, the person next in line on the leaderboard would take their place. Check out your position on the final leaderboards and you could have a bunch of rewards waiting!